For over a century, immigrants and refugees from around the world have made important contributions to the United States in areas such as politics, sports, entertainment, art, and science. From well-known figures like Albert Einstein and Madeleine Albright to lesser known trailblazers like Adriana Ocampo, Wallace and Wallace give readers insight into the many ways the U.S. has been strengthened by diversity and inclusion. Full-page illustrations, rather than photographs, are included for each entry and feature a black background, contextual supporting images, and a partial or full-body depiction of the subject. 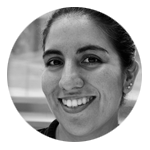 The layout for each person includes their illustration, their name, a quote, a conversationally-toned explanation of their contribution to the U.S. and/or world, and a sidebar with 2-3 related facts. The entries, roughly 5 paragraphs in all, are brief and self-contained, and can be read in any order. The straightforward language is accessible to those comfortable reading paragraphs on their own and the ample white space gives the text an approachable appearance. 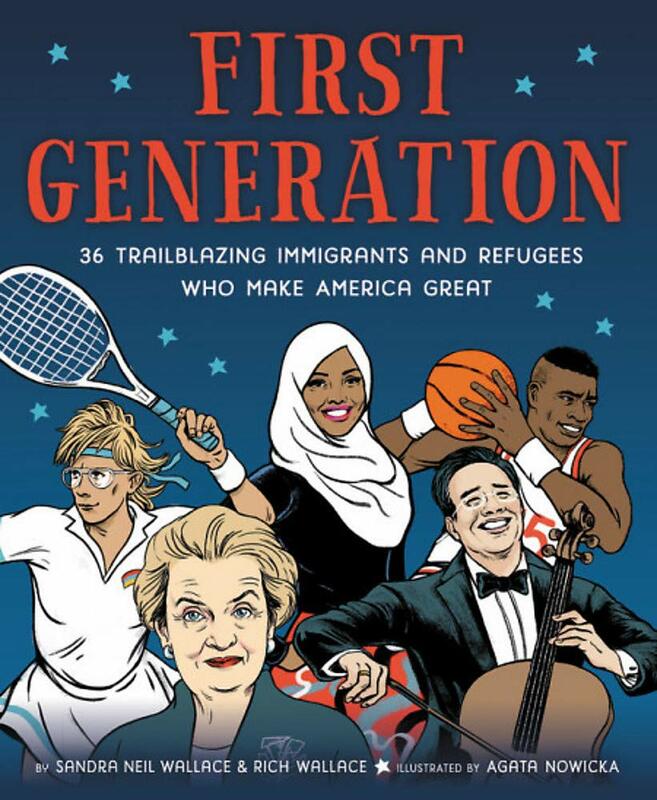 A table of contents and introduction by the authors is included in the front and back matter includes additional resources on immigrants/refugees, a selected bibliography for each individual, tips on being a trailblazer, an illustrator’s note, and a brief explanation of the book’s inspiration.  Do NOT follow this link or you will be banned from the site!